DHL continues the mission of integrated logistics, finding ways for Africans to buy things from major Western retailers. 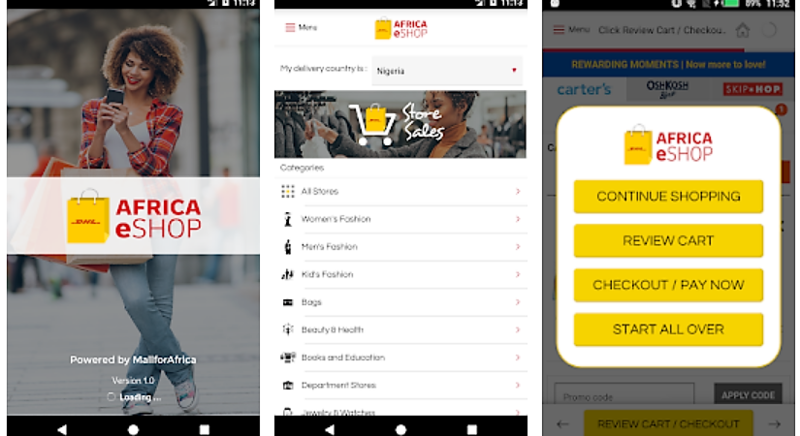 It just launched DHL Africa eShop to make it easier for African dwellers, in eleven countries, to buy items from Macy’s, Carters, Neiman Marcus and other brands. It is partnering with MallforAfrica to execute this – MallforAfrica’s Link Commerce service will anchor the local payments, procurement and delivery. DHL Express has announced the launch of its new mobile and desktop app aimed at improving the online shopping experience for Africa-based consumers. The exciting new platform, DHL Africa eShop, enables customers to shop directly from more than 200 US- and UK-based online retailers, with all shipments delivered by DHL Express, to the shopper’s door. DHL Africa eShop will be available in 11 African markets to start – South Africa, Nigeria, Kenya, Mauritius, Ghana, Senegal, Rwanda, Malawi, Botswana, Sierra Leone and Uganda.This solution was developed in partnership with Link Commerce – a division of Mall for Africa. If you have not noticed, DHL has just launched an ecommerce operation in Africa. Yes, Jumia and Konga have another competitor. If you have a very efficient way to buy things from American retailers, directly, buying foreign products on local ecommerce portals will cease to be the only option in the digital space.